Today is the 125th anniversary of the day the Electoral Act was passed into law, making Aotearoa the first self-governing nation where women could vote in parliamentary elections. The 1893 women's suffrage petition was a huge part of the successful campaign for the vote. Over 30,000 women signed the petition - a small individual act that helped bring about a huge change for the wāhine of Aotearoa. In 2018 we celebrate the action they took by researching and telling their stories. Below is the story of Mary Ann Gunson, who signed sheet 21 of the petition. Her signature is fourth from the top in the image below. Her biography was written and researched by Judith Corbelletto-Thompson, who attended one of our Wāhine Take Action research workshops at Tāmaki Pātaka Kōrero (Central City Library) last month. Sheet 21, Women’s suffrage petition. 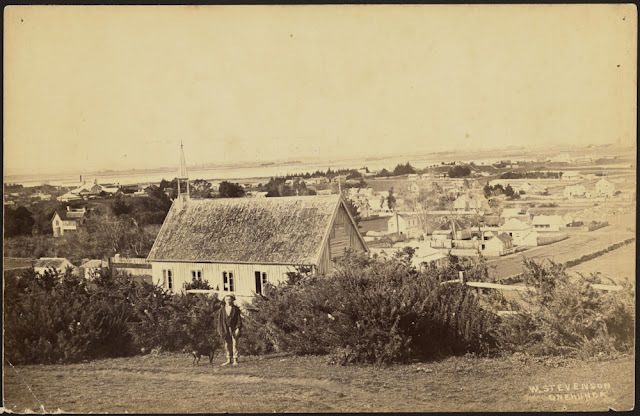 Image courtesy of Archives New Zealand Te Rua Mahara o te Kāwanatanga. Mary Ann Gunson (nee Bryne) was born in Glasgow about 1843. She arrived in New Zealand in 1874 aged 31 and the same year married James Gunson. She lived the rest of her life in Auckland and was in Onehunga at the time she signed the Petition. W. Stevenson. Looking south east from the vicinity of the junction of Grey and Hill Streets, Onehunga. About 1890. Sir George Grey Special Collections, 957-80B. It is not known if Mary Ann was active in the suffragist movement, but she had good reason to support women’s rights. Mary Ann’s married life was marked by domestic violence and poverty. 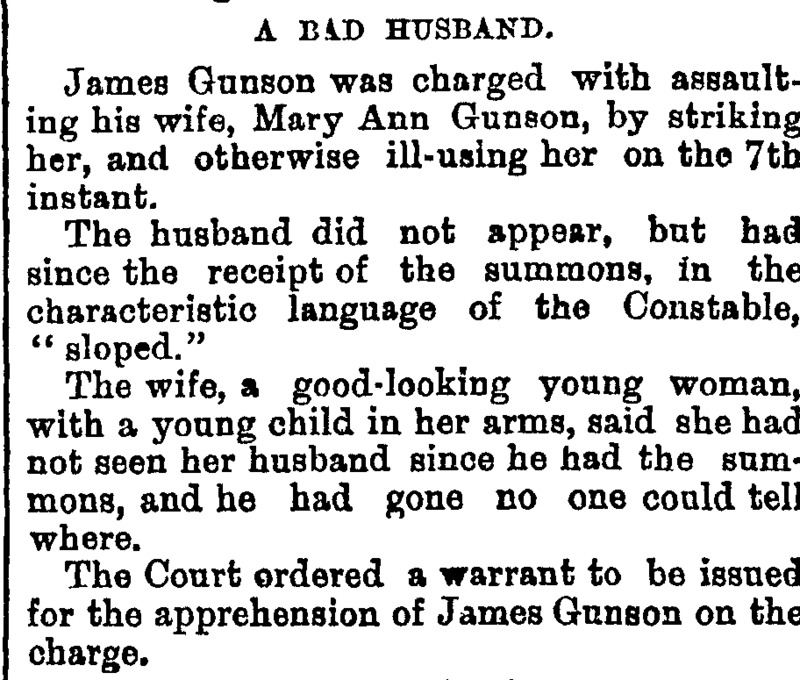 Court records show that James assaulted her on many occasions, with the violence commencing soon after they married. 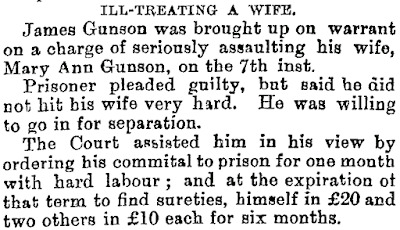 In August 1876, only about two years after the marriage, James was charged with ‘knocking his wife down and beating her on the head’. This was noted as the seventh such incident. Mary Ann had four sons - George (b. 1875), Samuel (b.1877), John (b.1880) and William (b.1886) and between 1876 and 1896 James appeared in court numerous times for failing to provide financial support for her and the children. 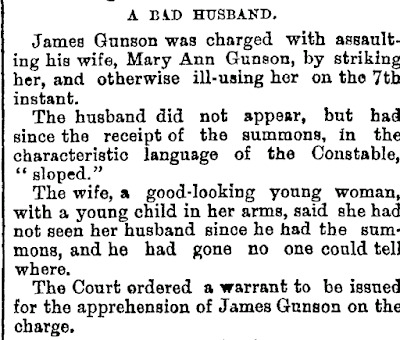 POLICE COURT.—This Day., Auckland Star, Volume VII, Issue 2030, 11 August 1876. 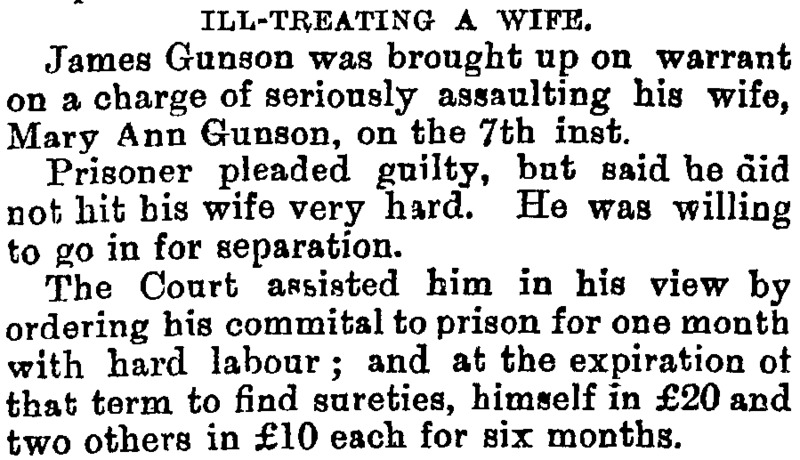 POLICE COURT.—This Day., Auckland Star, Volume VII, Issue 2032, 14 August 1876. Despite her immensely difficult circumstances, there is a sense that Mary Ann was a strong-willed woman, prepared to testify against her husband in court and stand up for herself and her four children. One of the many times when James was charged with failing to provide for his family, he offered to pay 30s a week for Mary Ann and two of the children and to take the third child himself. Mary Ann is reported as responding “No. You won’t take a child of mine. I would rather suffer”. Mary Ann Gunson died on 28 May 1897 aged 54. At the time of her death all four children were alive, her youngest son William only 10 or 11 years old. She is buried in the Catholic part of Waikumete Cemetery, Auckland.